Per OSHA, the most dangerous occupations such as construction also have the highest rates of drug use by their workforce. Prescription drug abuse in Americas workplace is an extreme issue that demands attention. According to the New York Times, Americans account for 99 percent of the world’s hydrocodone (Vicodin) consumption, and 80 percent of the world’s oxycodone consumption. Prescription drug abuse pertains to individuals using a drug without a prescription, in a way other than prescribed, or to get high (National Institute on Drug Abuse). Abusers of prescription drugs typically use higher dosages than needed, take other peoples prescribed medication, or even snort and inject the drug to have a more intensified effect. On the other side of the spectrum, not all drug abusers are looking to get high, some use drugs to improve focus. When drugs are used outside of an authorized prescription, the body can be negatively affected. Additionally, without a Doctors supervision of the dosages, addiction can rapidly sink in. Ultimately, abusers are depending on a substance to help them obtain a desired mental state, whether that be intensified energy, focus, or happiness. However, an individual will eventually have to take more of a substance to achieve the same high, which will inevitably lead to extreme abuse and addiction. There are several prescription drugs that have ventured their way from pharmacies to the streets. Per the Mayo Clinic and Olmsted Center, almost 70% of Americans take one prescription drug, and more than half take two. This high exposure rate contributes to the number of individuals becoming dependent on such drugs to perform daily tasks, such as going to work. Opioids, Benzodiazepines, and Amphetamines are three of the many drugs commonly abused in the workplace. Opioids (OPI) refer to any drug that is derived from the opium poppy, including natural products morphine and codeine. Vicodin and Oxycodone also fall under the Opioid family and are frequently prescribed to manage pain. Vicodin is one of the most habitually used and abused drugs in America. Opioids can be deadly if used outside of a valid prescription and are the most common drugs used in over doses. Per the Centers for Disease Control and Prevention (CDC), 44 people in the United States die each day from overdose of prescription painkillers. Benzodiazepines (BZO) are a class of medications that work in the central nervous system. BZO’s are commonly used to prevent seizures, prevent panic disorders, act as a muscle relaxant, reduce anxiety and can even assist with alcohol withdrawals. Xanax and Valium fall under the Benzodiazepines (BZO) category. Xanax is commonly prescribed to manage anxiety but has transitioned into being a commonly abused drug for its users to obtain a high. Amphetamines (AMP) are most commonly known for their ability to treat attention deficit hyperactivity disorder (ADHD). AMP’s also affect chemicals and nerves in the brain that contribute to hyperactivity and impulse control. Adderall is a common AMP prescription that is used to treat individuals with ADHD. Adderall is extensively abused due to its ease in obtaining and surge of energy when ingested. Some abusers not only take the drug without a prescription or outside prescription dosages but go to the extent of crushing and snorting the drug to get an intensified high. Lastly, Adderall’s ability to act as a diet pill increases its popularity among college students. Amphetamines speed up the body’s metabolism and lowers one’s appetite. Marijuana laws and regulations have drastically changed in recent years and the push for acceptance has created a grey area for employers. Although Marijuana is still illegal federally, many states have voted for its legalization for both recreational and medical purposes. Even though Marijuana can be medically prescribed, your company policy that falls in line with your federal and state laws will ultimately determine whether those prescriptions void a positive test. The first step to addressing prescription drug abuse within your company is the implementation of an effective Drug and Alcohol Company Policy. Your Drug and Alcohol policy will go into detail on all circumstances that subject one to testing, what specimen is required for testing, and what disciplinary actions will be taken when tests are failed. For your policy to be effective it must take your federal and state laws into consideration. For example, five states prohibit post-accident tests which disables you to test an employee after an accident in the workplace occurs. Even with a clear and concise Drug and Alcohol Policy, testing for prescription medication can lead to legality issues quickly if processes are not carried out properly. For example, what if an individual shows levels of Opioids which Vicodin and Oxycodone both possess? How do you determine whether this employee has a valid prescription, is abusing their prescription, or is using the drug without a prescription entirely? The answer is Medical Review Officer (MRO). For this example, the MRO will analyze the levels of opioids, and contact the tested individual personally. Upon speaking with the individual, the MRO will establish whether the levels of opioids fall within a valid prescription or if the individual is at fault for substance abuse. Only after the MRO reviews the levels and contacts the individual can a test be determined positive. Prescription drug abuse can be discouraged through educational communication from the employer to the employee. It is highly recommended and proven to be effective if you take the time to educate your employees on the addictive properties frequently prescribed in drugs like Vicodin. With your efforts and continuous support, you may be able to not only prevent prescription drug abuse but help those addicted find sobriety. The implementation of an Employee Assistance Program (EAP) and Drug Free Workplace program (DFWP) can drastically improve the lives of your employees. By providing the proper tools and support needed to overcome addiction your employees will be able to get back on their feet and back to work. 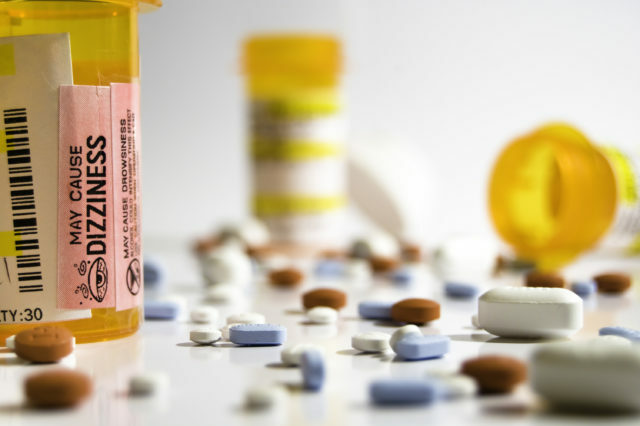 As an employer, it is imperative to grasp how detrimental prescription drug abuse is. If you need assistance creating an up to date and effective Drug and Alcohol Policy, then look to Origin. Origin is a Third-Party Administrator as well as the leading provider in workforce verification. Origin will ensure that your policies and processes are carried out legally and commendably.